Yesterday I read an article about screen addiction. Yes, I did indeed read it on a screen. Perhaps I too am at risk of becoming damaged. 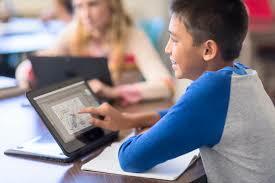 The article can be found here: Screen Addiction is Damaging Children. A just society is certainly not a society that allows its people to come to harm, so we must analyze this argument carefully to assure ourselves that our actions are not harming our people. So let us, dear reader, identify any faults in the argument. It appears to me that the first conclusion C1 does not follow deductively from the first two premises. Is it not possible for screen-children to have frontal cortex impact by co-incidence and not as a result of screen addiction? If indeed it is possible, then we cannot deduce from P1 and P2 that screens are addictive. Is this a wiser way to present this part of the argument? Perhaps it is less definitive than the psychologist intended, but I believe it captures more accurately the uncertainty in reasoning by correlation. Let us proceed with our examination of the original version of the argument by inspecting conclusion C4. It doesn’t appear to follow from C1, C3, P5. It depends on C3, which itself depends on premise P4. But P4 simply points to a correlation. A causal link may be likely, but it needs to be established if the definitive conclusion C4 is to be validly deduced. A better wording for C4 is: Therefore, high screen-time has been correlated with damage to some people. Our revised argument is inductive. Its inductive strength depends on the correlation indicated in premise P2. I do not have the knowledge to determine the strength of the correlation between screen time and damage to people, so I leave this open to you, wise reader, to uncover for your self.